1. On most web browsers, the Second Life installer appears at the bottom of your browser window immediately after downloading. 2. Right-click the installer in your browser window and choose Open. 3. 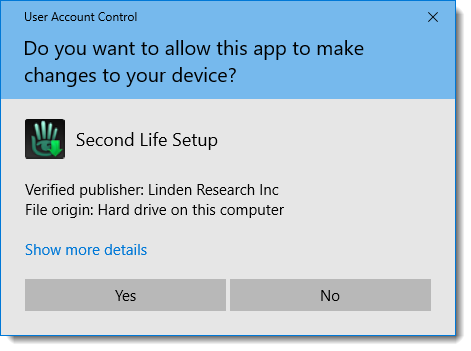 If you are prompted to allow Second Life Setup to make changes to your device, choose Yes. 4. 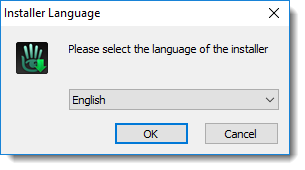 Select a language for the installer and click OK.
5. Choose where to install Second Life on your computer. Click Install to begin the installation. 6. Second Life launches automatically when it is finished installing. To log in, enter the username and password you chose during registration, then click the Log In button. 7. Your first stop after logging in is Learning Island. 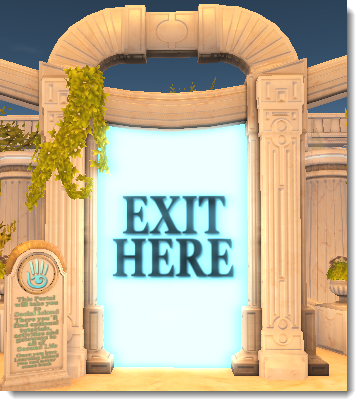 Follow the signs and hints to find the exit portal (shown here). Along the way, you will learn how to move your avatar and look around. 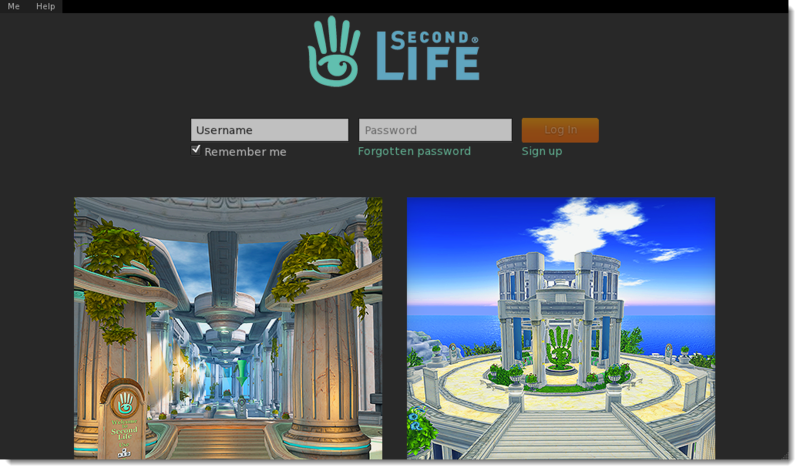 Once you go through the exit portal, you'll be transported to Social Island where you can meet other Second Life Residents. 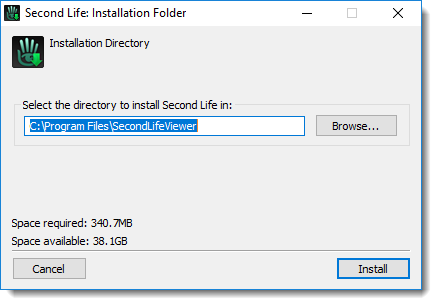 Note: If you ever need to download the installer again, you can always get the latest version of the Second Life Viewer installer from https://secondlife.com/support/downloads/.